Economic globalisation has accelerated enormously. With the advances in information technology and international trade policies, it now permeates almost every sector of the economy as well as our whole way of life. At the same time, tariffs and technical trade barriers have been massively dismantled through wide-ranging market liberalisation, and worldwide competition has been ratcheted up. This has resulted in tenfold increase in global trade and investment flows since the end of the 1980s. The positive benefits of global linkages have infiltrated so much of our everyday economic and cultural lives that we cannot imagine the world without them. The gains in prosperity are enormous. The downside of it, however, is that stronger competition has massively increased the pressure on pay and working conditions. This applies to Germany and the other member states of the European Union (EU); this does not exclude the disastrous working conditions in the Third World countries and the BRICS (Brazil, Russia, India, China and South Africa) states. More and more, the workers are bearing the brunt of the increased competition and social standards are coming under growing pressure. Unimpressively, the increased prosperity has been most unevenly distributed. While the wealthiest one per cent of the world population is clearly profiting from globalisation, the incomes of large portions of the middle class in the industrialised countries are stagnating and the poorest of the world population are seeing their real incomes decline. The advent of border-free markets requires a fundamental policy shift towards a social and environmental shaping of globalisation. A return to national isolationism or renewed protectionism is not the answer; in fact the inverse applies. Instead we ought to investigate the partitioning and renationalisation of the social, economic and political challenges. And the EU has a particular responsibility to bring about the urgently needed policy changes. While negotiations between the United States of America (US) and the EU mark time on the proposed Transatlantic Trade and Investment Partnership (TTIP), there has at least been progress with the EU-Canada Comprehensive Economic and Trade Agreement (CETA). This opportunity should be seized. Speaking from a trade union perspective for the sake of avoiding the false path of national isolationism, the German Trade Union Confederation (DGB), its affiliates and the European Trade Union Confederation (ETUC) have been insistently calling for fair world trade, transparent negotiations and the democratic participation of national parliaments. Fair trade entails the recognition of the core ILO labour standards, the rejection of any investment protection chapter with private arbitration courts, and the protection of public services of general interest. In these three key areas, no progress is being made in the TTIP negotiations and it would appear that this situation is unlikely to change before the American elections. And that is precisely why it is crucial to make use of the chance to achieve a breakthrough on the CETA. While the CETA was negotiated by the previous Canadian government under the conservative premier Stephen Harper, who was voted out in the elections of October 2015, the new Canadian Prime Minister has taken a different stance. Not only does he want a clear change in Canada’s economic and social policy, he is also keen on a new transatlantic relationship with the EU and seems interested in shifting away from the US by clearly advocating progressive rules and standards in international trade agreements. And the EU Commission has had a new leadership team since the summer of 2014, headed by Jean-Claude Juncker. Under former Commission President José Manuel Barroso, the CETA was negotiated by the conservative trade commissioner Karel de Gucht, who was certainly not interested in a new trade policy. His successor Cecilia Malmström, who is now in charge of this, is a politician cut from a different cloth and is at least open to the idea of changing course. After the protests in the spring of 2015, Malmström announced a new, modern European negotiating strategy. It is more likely that she wants to keep her word and press forward with a long-needed EU policy for more, fair world trade, provided that she makes serious use of the opportunity presented by the new Canadian government. Because these days, the real foot-draggers are to be found in the EU Commission’s Directorate General for Trade. Given the bad state the EU is in, the successful conclusion of the CETA talks would also be a chance to regain the EU citizens’ confidence. But that is not a foregone conclusion. A major precondition for greater citizen confidence is that national parliaments should be entitled to their say on ratification of the agreement. For far too long, the EU Commission has ignored that fact. Even as recent as this July, only massive pressure stopped it from railroading the CETA through an “EU-only agreement”. One hopeful development, on the other hand, is the signals from the new Canadian government that it is still open to changes in the allegedly “completed” trade agreement. But time is of the essence. The agreement is due to be signed at the EU-Canadian summit scheduled for 27 October 2016. In the meantime, many definitive clarifications still need to be made if the lip service paid to a fair, modern trade policy is to be turned into reality – in particular, the provisions on investment protection should be taken out as they do not fall within the EU’s competences. If this is not achieved, things should be slowed down. On an issue as complex as this one, quality must take precedence over quantity. Under no circumstances should the CETA come into provisional use before the EU member states and their parliaments have approved the agreement – with the legal status of a “mixed agreement”. Admittedly, some first steps may already have been taken to facilitate a social and environmental shaping of globalisation in the interests of fair world trade. Unlike the US, which has ratified only two of the ILO’s core labour standards, the Canadians have signed up to eight, including Convention 130 on the minimum working age and their ratification of Convention 98, on collective bargaining, is scheduled for this September. This progress deserves recognition, as does the agreement’s insistence that trade goals must not serve to undermine protective standards for labour and the environment. However, there are still no sanction mechanisms in place for any breaches of labour rights or of environmental protection provisions. There is clearly room for improvement here. More importantly is the need for “international harmonisation agreements” which aim to strengthen labour, social, environmental and consumer standards that are intended to provide legal sanctions in case of violations. That includes strengthening the ILO! The debate on the protection of private investors has also been moving forward. As part of examinations to ensure that the free trade agreement with Canada conforms to the rule of law, opaque private investment courts have been replaced with publicly legitimised investment courts, the prospect being that these will eventually lead on to an international trade court. This marks clear progress over the original provisions on international investor-state dispute settlement (ISDS). Considering such improvements, it will no longer be possible to appoint private arbitrators; cases can go to appeal and third parties, such as trade unions, will also be able to state their positions. However, many critical points are still open and need to be clarified – including how to ensure the independence of the judges. Nor has the problem of special rights for investors been solved. In any case, public services must be completely excluded from the investment protection chapter of the CETA preventing them from being a pawn in international arbitration procedures. The greatest uncertainties and needs for clarification are about the public services and services of general interest, which in both the European and the Canadian social models have great significance for social and territorial integrity. The biggest risks are posed by what is known as the “negative list approach”, under which the market access obligations laid down in the CETA apply to all present and future services of general interest that are not specifically cited. From the start, trade unions backed the positive list approach, under which all such services must be explicitly mentioned. What all this boils down to is making it quite clear that liberalisation cannot supplant aims that serve the common good. That is why future liberalisations must also be reversible; only so can we ensure that future governments are not hamstrung when making decisions. In the meantime, many cities and boroughs in Germany, the EU member states and Canada have flagged up just how great the risks are for local government services of general interest. Until the CETA has been formally concluded, changes are legally and politically possible. Anyone who claims that its present draft is sacrosanct is still rooting for unbridled liberalisation and a “market-ready democracy” that runs counter to citizens’ rightful interests. The change of government in Canada offers the chance of a Euro-Canadian reforming alliance for fair world trade. The DGB and ETUC will, together with the Canadian unions, continue to fight for such a reforming alliance, and we urge the EU Commission to take the lead on this. 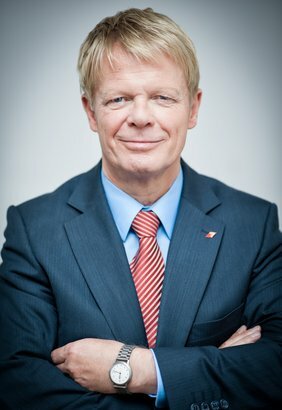 Reiner Hoffmann is the President of the German Trade Union Confederation (DGB).